There’s good news for those of you who couldn’t stand how submissive and grovelly Team Rick was toward the Saviors in Season 7A of The Walking Dead last fall. 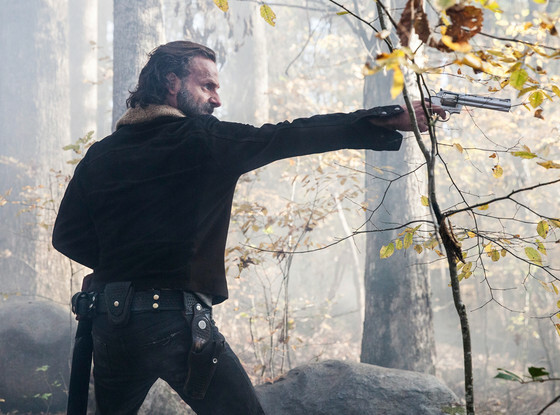 Andrew Lincoln confirmed today those days are over and his character is finally fighting back. The Alexandrians have lost a lot of ground, though. The Saviors know exactly where they live, they outnumber them and now they own all their guns. But, then, why else do you think the show has been introducing so many other communities lately? They may stand a chance if the members of Alexandria, the Hilltop and the Kingdom all band together…. The next new episode of The Walking Dead airs February 12.